Home DATING AND RELATIONSHIPS MIHO NISHIDA TELEVISION TOMMY ESGUERRA TOMIHO Tommy Esguerra and Miho Nishida are officially a couple! TOMIHO Tommy Esguerra and Miho Nishida are officially a couple! Tommy Esguerra and Miho Nishida of the fast-rising loveteam TOMIHO are now officially boyfriend and girlfriend. The well-loved pair from PBB 737 are now in a relationship status after Miho said YES on live national TV to Tommy when the latter asked her in front of many people with millions of viewers watching if she could be her girlfriend. 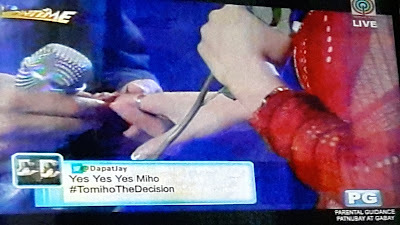 It happened a while ago on 'It's Showtime', a fitting finale for its "TOMIHO: A Love Realiserye" segment, which ran for almost more than 5 weeks. It was cute how Tommy reacted after hearing Miho's "YES" to him. 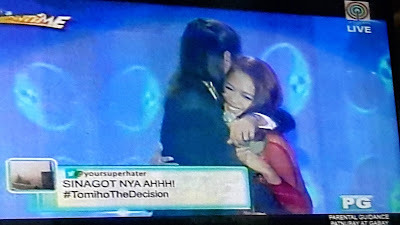 He was so happy, hugged her so tight and later gave Miho a promise ring. Miho's daughter Aimi and mother Mercedes were also shown in the audience visibly very happy for the new couple. 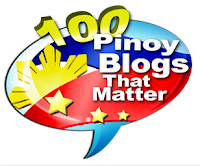 So this date, December 19, 2015, will be one special day for the two and the whole Tomiho fans. I remember Tommy saying "Miho is mine" while they were still inside the PBB house. He claimed her, and now she's really his. Perhaps this time, he can say it this way: "Miho is sooo mine...forever!"